The Honda S2000 was not much of a popular vehicle for extensive light modification as most of them are in the automotive road racing culture which relied on pure mechanical and aero performance. 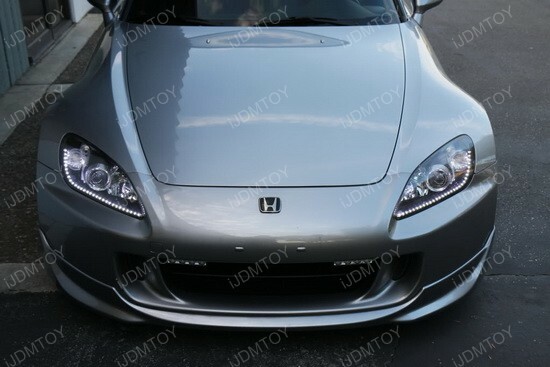 However, we do come across some very clean examples of LED light modifications done on an S2000 such as this specimen. 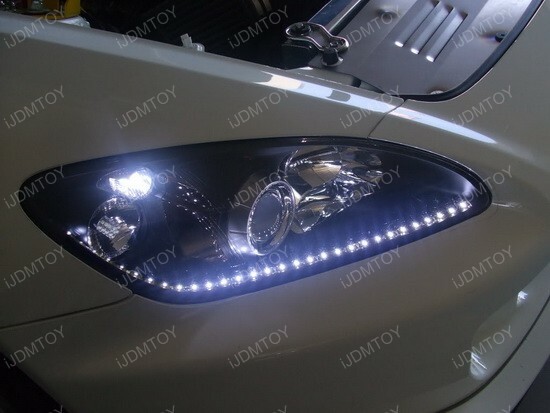 Our Audi Style LED strips are typically installed on the outside, but if you have the proper knowledge, it can be installed inside the headlights like these. 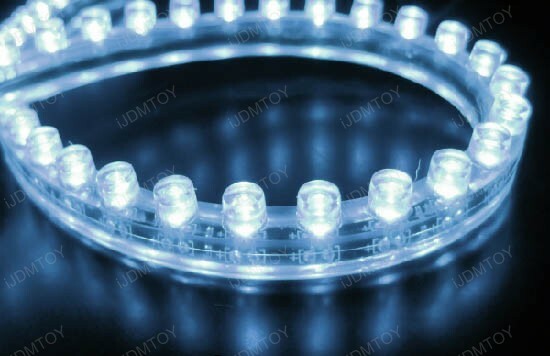 Our 20” long, 21-SMD LED strips have adhesive tape on the back of it that can be used to stick the strip onto any flat and smooth surface. 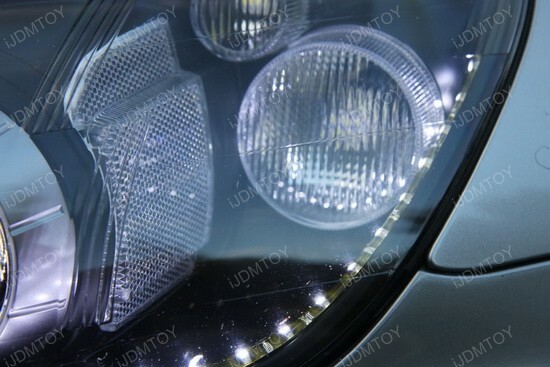 They are usually installed underneath the headlight or on the bumper somewhere, but if you possess the experience to open up your headlights, this can be a result. 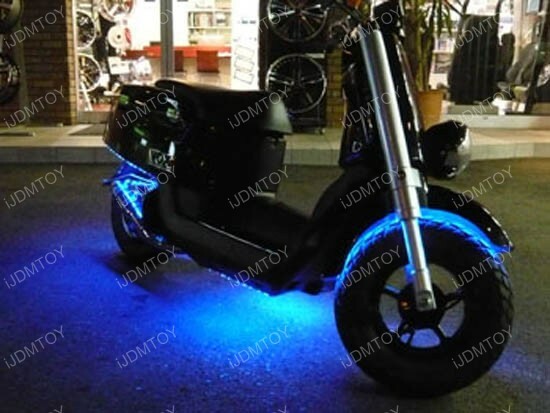 These lights are available in three colors: Xenon White as this example shows, Ultra Blue, and Amber Yellow. 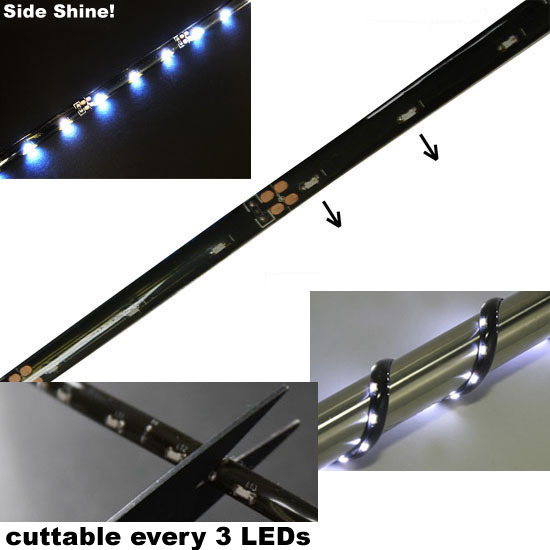 The side-shine capability allows the LED strip to be installed flat on a surface while allowing the lights to shine forward. This makes these lights very easy to install and configure to suit the needs of various applications. 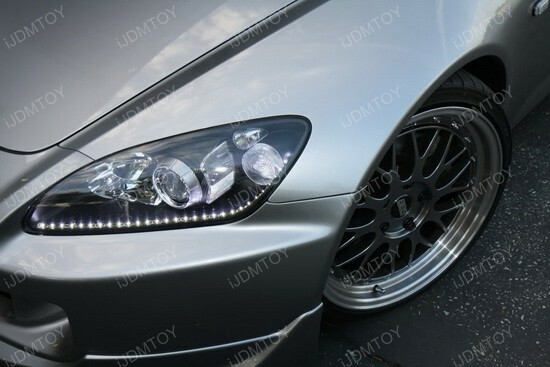 These Honda S2000 headlight LED strips are not for everyone, but we feel like this is a very clean example that many cars can use as an example for their installs. 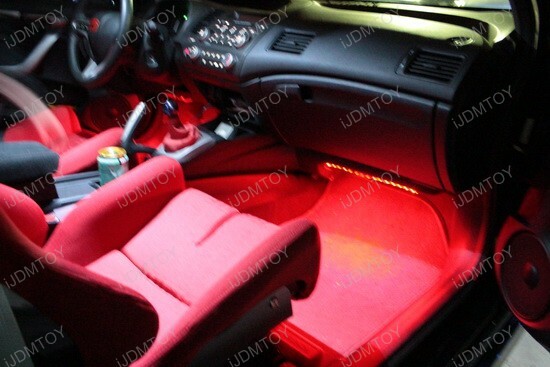 Not all vehicles come with original lights for every part of the vehicle, especially for the inside such as foot area lights or even side door lights. 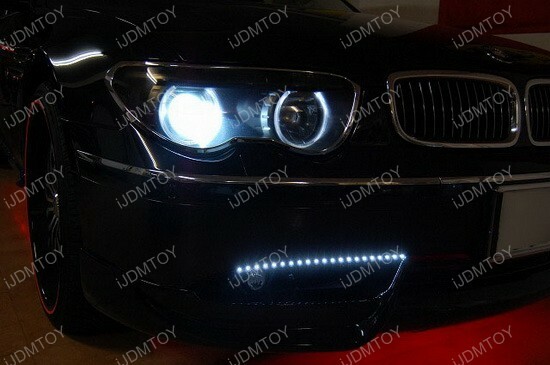 For those vehicles which did not come with those lights, you can easily add simple to install LED strips to provide ambient lighting within the cabin that is sure to draw attention. Installed on this Honda Civic Si are our 12" LED foot area strips with 3M adhesive tape on the back which can be easily mounted to a flat surface within the cabin. 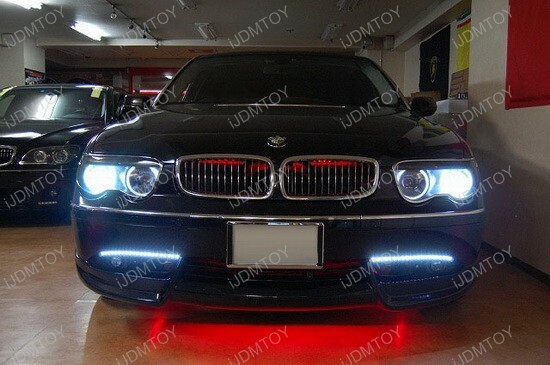 These lights are available in a range of colors including Brilliant Red (shown), Ultra Blue, Xenon White, and Light Green; each strip contains 15-SMD LED chips to provide the power and are easily installed by connecting the positive and negative wires to any 12v power source inside the vehicle. 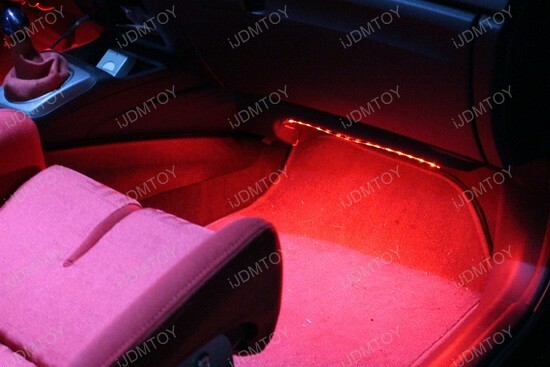 The most common sources of power to light these strips up are the 12v ACC wire so that these lights stay on when the vehicle is on to act as ambient lights or the interior light fuse to power them up whenever the interior lights are on. 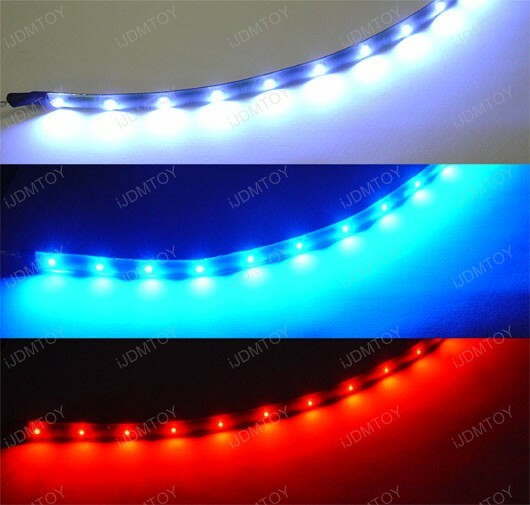 We also offer these same LED strips in the 24" size for larger applications which contain 30-SMD LED chips per strip instead of 15-SMD chips. 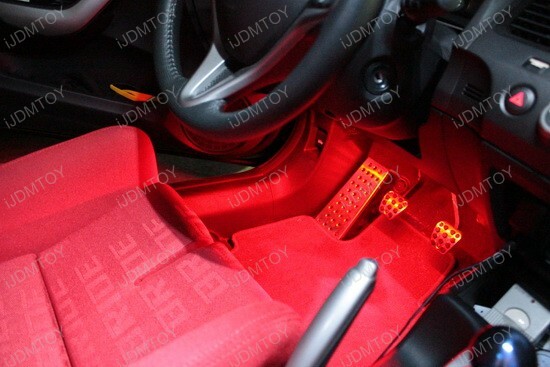 These are also sold in pairs at a very affordable price that would not break the bank and still add a very updated look to your car.